Rob Gloyns’ primary responsibility as a Clean Air Zone (CAZ) Project Officer for Southampton City Council is to ensure that the Council’s plan to improve levels of roadside nitrogen dioxide to within legal limits meets national requirements whilst ensuring it is the right solution for the city. He is also responsible for promoting sustainable and active travel throughout the city, such as securing funding for safe cycling infrastructure and installing a network of electric vehicle charging points, as well as designing communication campaigns to champion the improvement of air quality, including anti-idling and engagement programmes. Rob studied for an undergraduate degree in Biology at the University of Southampton before completing an MSc in Environmental Science at the University of East Anglia. 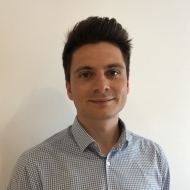 Shortly after graduating, he was given the opportunity to start an internship at Eastleigh Borough Council in Hampshire, learning the fundamentals of air quality review, assessment and management. Currently, Rob is working on an incentive scheme, jointly launched by Eastleigh Borough Council and Southampton City Council that provides taxi drivers with an incentive to replace older, more polluting vehicles with new low or zero emissions alternatives. Drivers are given both a cash incentive and reduced fuel and maintenance costs, so far leading to almost 40 drivers replacing their vehicles with hybrid replacements. In the future, Rob hopes to further his work delivering successful CAZ whilst expanding the strategy to deliver improvements in other pollutants such as particulates. On a more personal note, he will continue to make the most of career development opportunities within the air quality sector and more broadly for managing complex projects. He also aims to improve on his first marathon time of almost 5 hours!